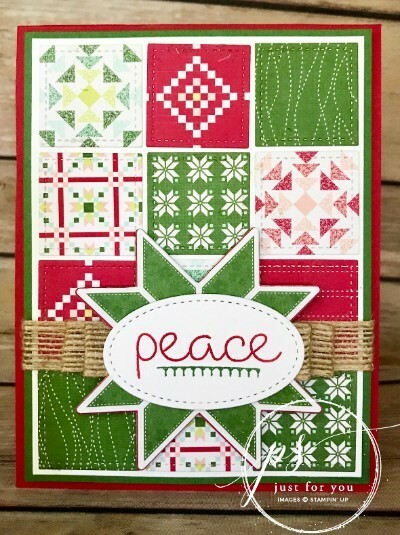 I LOVE the holiday DSP that Stampin' Up! has in their holiday catalog this year. There are so many different color combinations and the patterns are just gorgeous! Using the corresponding shaped die from the Quilt Builder Framelits, die cut the green star shape out and set aside.